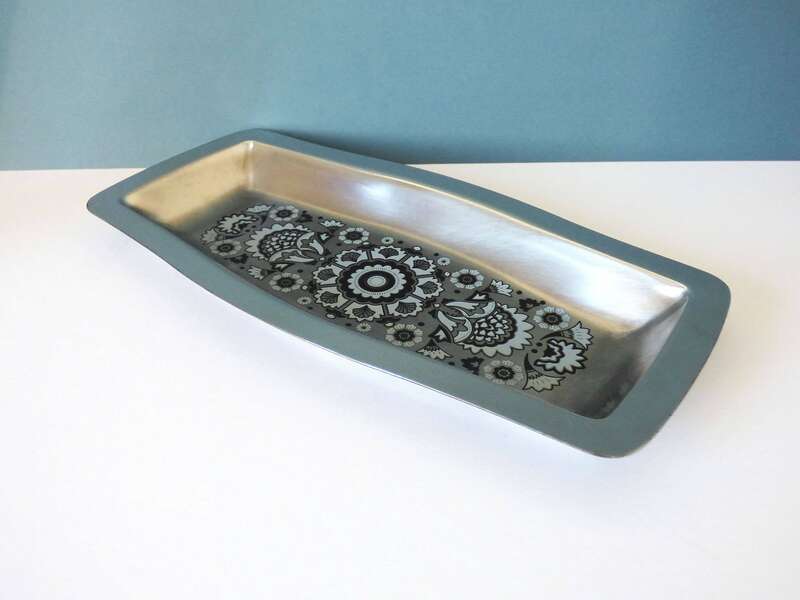 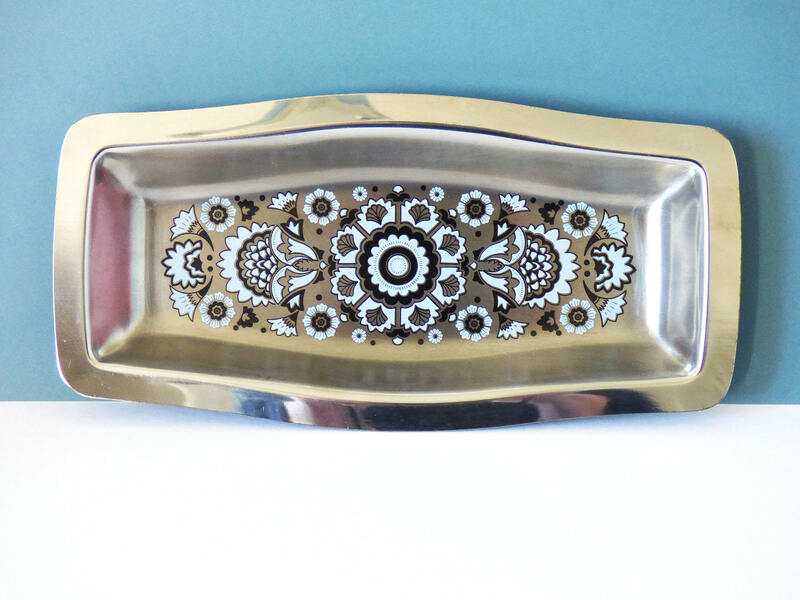 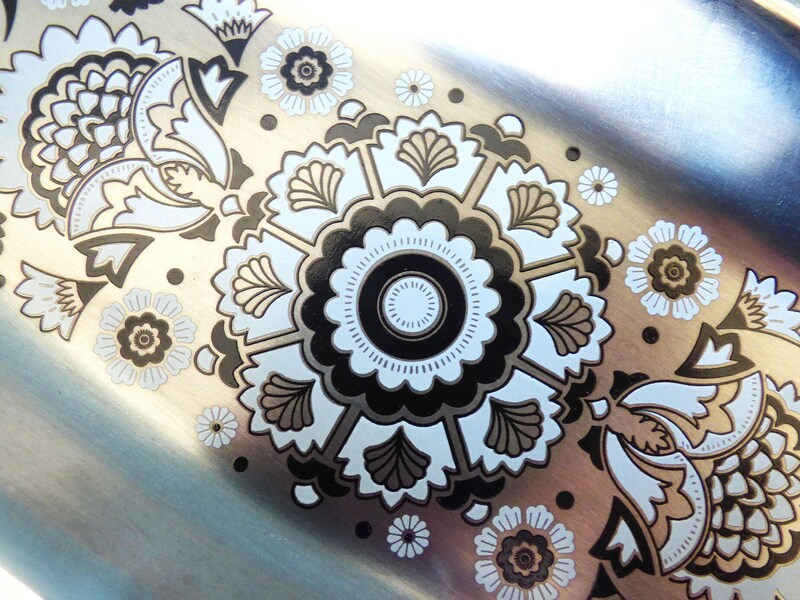 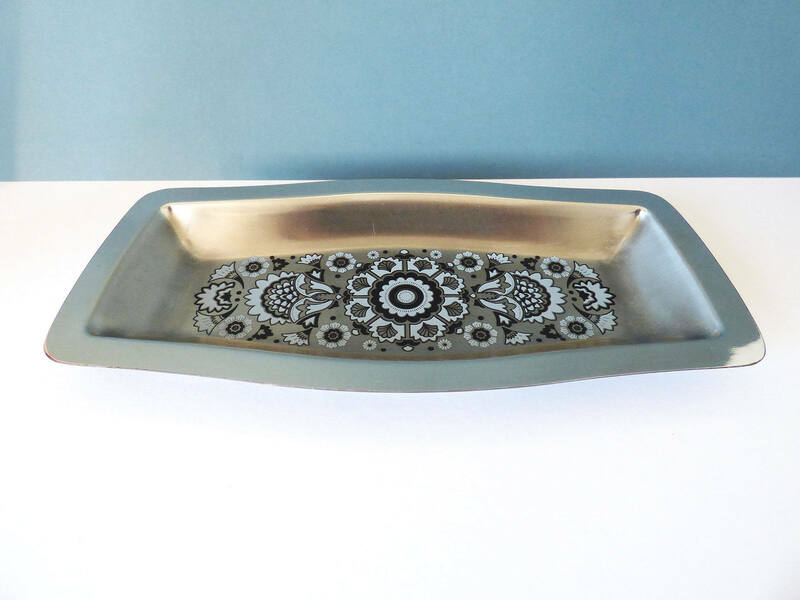 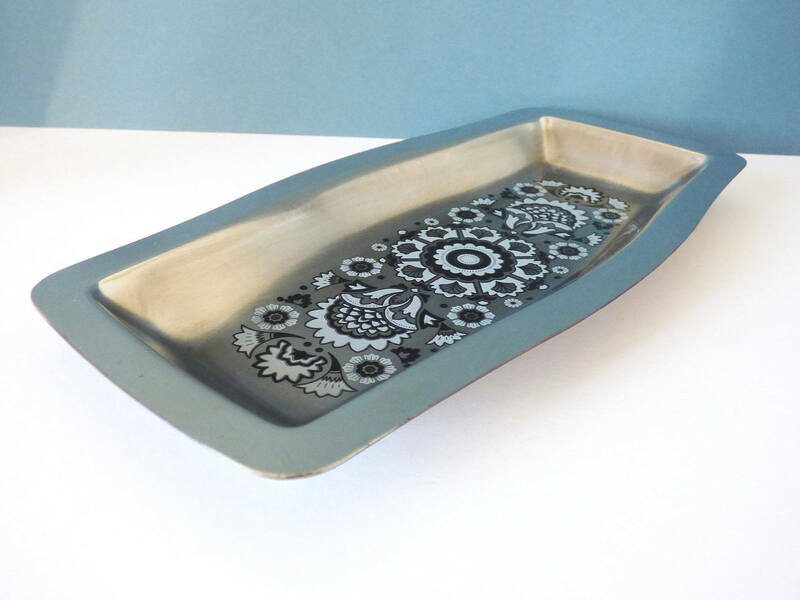 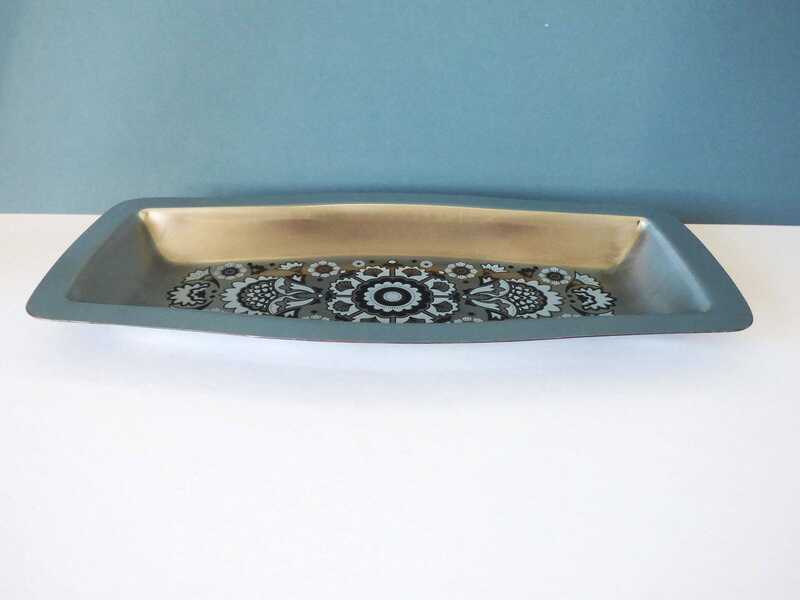 A super find, here we have a stainless steel tray produced by Viner of England designed by the wonderful Gerald Benney. 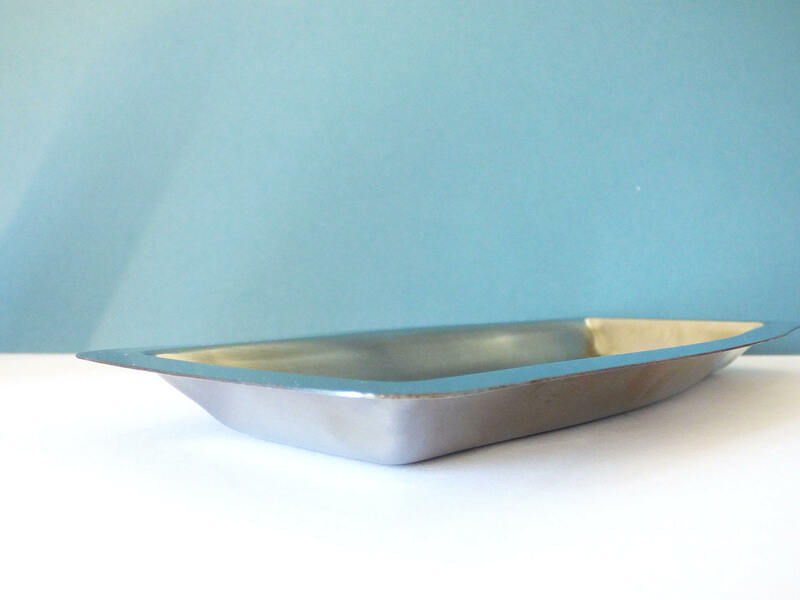 27cm x 13.4 cm. 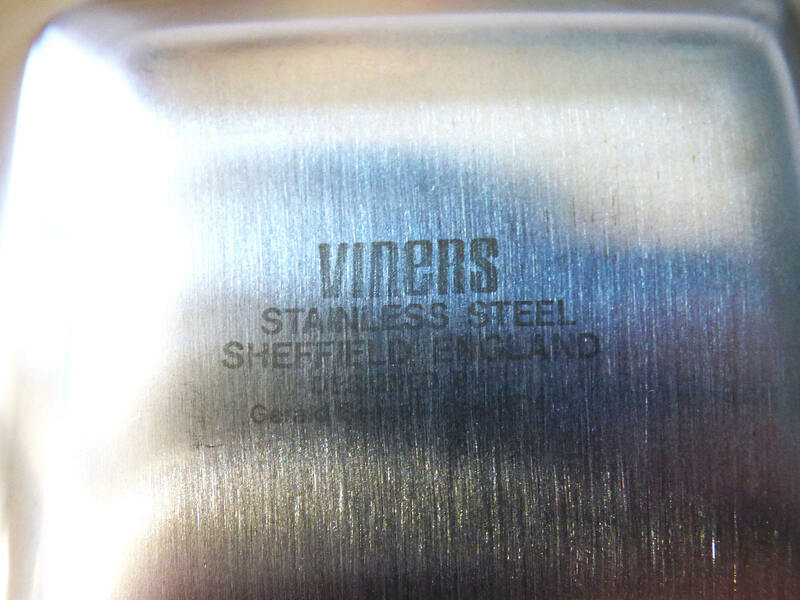 Stamped "Viners Stainless Steel Designed by Gerald Benney" on the reverse. 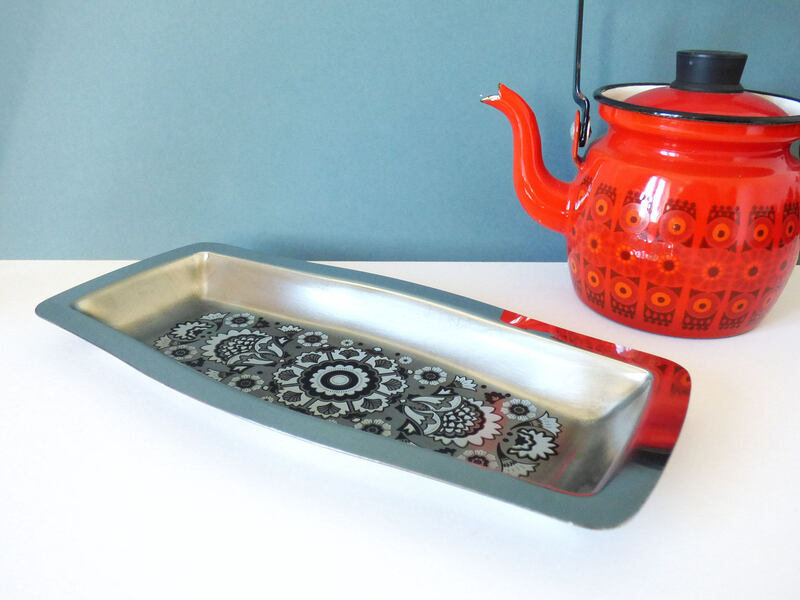 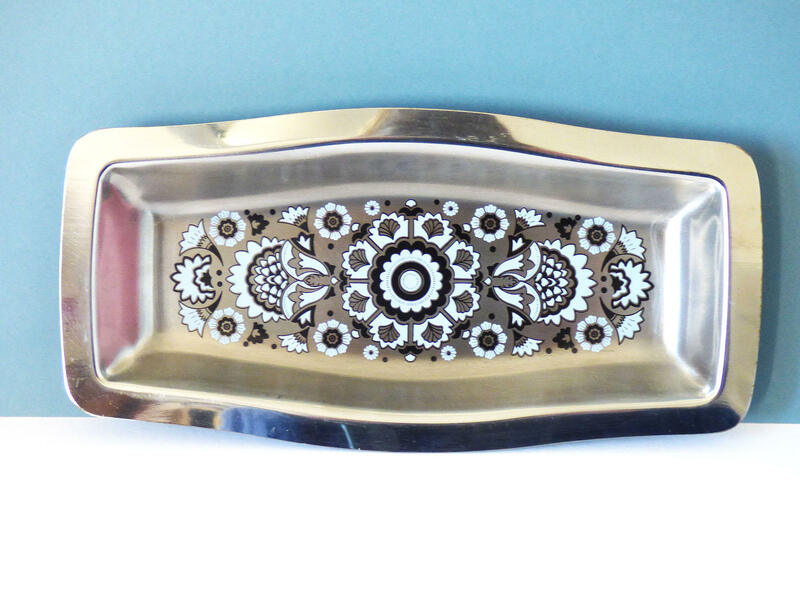 Perfect for tea for two, for sandwiches or biscuits this platter tray is iconic of the era and is sure to bring a little vintage style to your home.